Detroit health care leaders are working to improve access to health care by addressing chronic disease, better communicating with patients about making wise care choices and helping the newly insured navigate a complex health system. 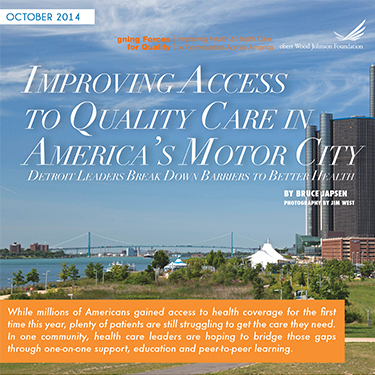 These efforts are led by the Greater Detroit Area Health Council, one of RWJF’s Aligning Forces for Quality (AF4Q) communities, which has brought together providers, patients, employers and insurers to help improve regional health care. This program is a part of a larger effort by AF4Q to boost the overall quality of health care in communities across the country and provide models for national reform.